Remember the days when Russia was the El Dorado of the Western legal elite? Potent New York outfits like Cleary Gottlieb Steen & Hamilton and Skadden, Arps, Slate, Meagher & Flom forged hugely lucrative businesses catering to Russian clients, while oligarchs and their top-dollar disputes were regulars in London’s commercial courts. While deal flow in Russia remains hampered by sanctions over the war in eastern Ukraine, local firms have made efforts to plan around these and develop new products and services to compensate for a decline in traditional mandates. The Russian market is also beginning to attract considerable volumes of work from the broader CIS region as well as Asia. After promoting three new partners in 12 months, Russian firm Pepeliaev Group has now reached 24 partners globally. Sergey Pepeliaev, the firm’s managing partner, argues that the Russian market is becoming more sustainable and steadily diversifying. 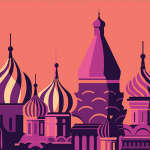 While international firms have enjoyed tussling with leading independents in Moscow for years, a hardening market has seen the local players show their resilience. 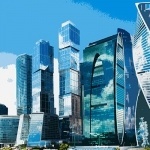 Russia’s legal market continues to struggle after international sanctions were imposed in 2014 during the Ukraine crisis, affecting corporate, commercial and capital markets. These penalties added to the problems the region was already grappling with following the global financial crisis and low oil prices that were hitting the nation’s industry. Magic circle trio Clifford Chance (CC), Linklaters, and Allen & Overy (A&O) have all been gifted places on the extensive legal panel of Russian state-owned bank Vnesheconombank (VEB), alongside a host of other international firms including Hogan Lovells, Akin Gump Strauss Hauer & Feld, White & Case, Norton Rose Fulbright (NRF), and Baker & McKenzie. Just two years after joining Winston & Strawn’s international arbitration group from the legacy Norton Rose, London-based disputes lawyer Andrei Yakovlev has upped sticks to join King & Wood Mallesons SJ Berwin. With major international firms angling to position themselves as leaders in the burgeoning shale gas field, Clifford Chance (CC) is advising energy giant Chevron on its $10bn shale gas exploration project with the Ukrainian government, a mammoth geopolitical deal which could see the region end its dependence on natural gas imported from Russia by 2020. The ongoing battle over what was to become of Russian oil joint venture (JV) TNK-BP finally concluded at the end of 2012, in one of the largest M&A deals of the year. Skadden, Arps, Slate, Meagher & Flom, Cleary Gottlieb Steen & Hamilton and Linklaters all played lead roles on TNK-BP’s multibillion-dollar sale to Russian state-owned oil giant Rosneft in December.